Esthetic and elegant, solid and perfectly designed. Not many things can be described with these words. Dedicated to special spaces, like living rooms, bedrooms, and well designed interiors. This is a really stunning crochet blanket, the pride and joy of its maker. This sample shows how to crochet it, but the entire full pattern is below the pictures in the link. For more free designs every day follow us on Facebook. Elegant Crochet Blanket – Free Crochet Pattern is here. Don’t forget to Like us on Facebook. For more ideas and free crochet patterns join our Facebook group. Share your final work in our facebook group. 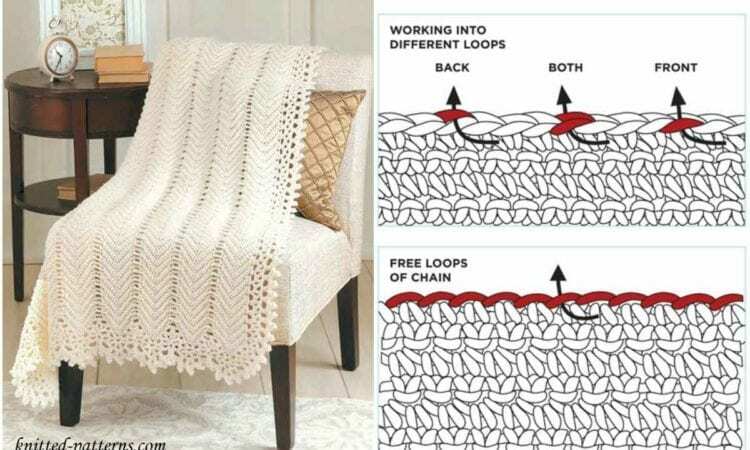 I love the Elegant Blanket that is said to be a free pattern I guess I do not know the computer very well because I cannot get the pattern. Why is it so hard to get A FREE PATTERN of the sites on the computer. Help me I also like the patterns for dish cloths but there again I cannot pull them up.